Around the Table Book: You Encourage Me! I want my blog to be a ministry to families. 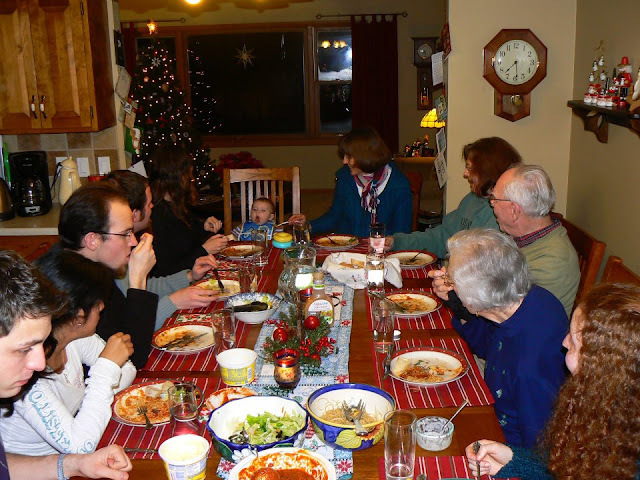 The more I write, the more I realize I truly am passionate about family mealtimes and I long for other families to enjoy them and connect like we have around our table. Sometimes I feel like I’m writing into a void. I’ve been really excited about some of my posts—like International Family Day, I AM Not Too Young to Learn, Mother Language Day, Our Table, How I Came to Write Around the Table, and Remembering Uncle Pete—and I wonder if they help anyone. Marcia from Colorado said—you have captured the heart of meals around the table in your website. The pictures and text are so warm, the reader (at least this reader!) feels like she's had a big, welcoming hug. Sherrin who lives in Australia said—I want you to know that I really enjoy reading your blog and it has a new significance now that Chris and I have started our own little family. Beth Ann from California wrote—Sharon, I'm attaching some photos - taken with a not-so-professional cell phone camera - of my table last night and this morning after I cleared it, changed the tablecloth, and came up with a centerpiece of callas from my front yard. Thank you SO MUCH for inspiring me to keep trying to make my table attractive. The red plaid reminds me of summer picnics and this particular tablecloth belonged to my mother-in-law, who made even picnics look special! Debbie, a missionary in Peru said—I appreciate all the time and thought you put into your blogs and the INTENTIONALITY of your family life together. I have to admit I don't get to read every post you write, but when I do, I really enjoy them. Corrie from Texas wrote—Mrs. Fleming, I love this blog! As a wife of 3 years and a brand new momma, I am passionate about Biblical homemaking. God is so good to give me so many lovely, Godly role models. Mike and Elaine, missionaries in Colombia, said—We just enjoyed checking out your blog, Sharon. Thanks for all the pictures and helpful ideas. I can’t tell you how much those comments mean to me! When you have a comment, suggestion, question, or correction, write a comment by clicking on the blue words below “Share your thoughts” and leave a message for all to see. Write an email to me by clicking here. Bookmark this blog so it's easy to check it often. If you think a friend would benefit from a post, send them a link. If you think lots of friends should read a post, post a link on your Facebook, Twitter, or other social network site. Finally, “like” my Facebook page to get a link each time a new post is up. I’ve been writing three times a week for five months now and have a variety posts about a variety of topics that relate to connecting at family mealtimes. If you are looking for a specific topic, scroll back up to the top of the page. In the white search box in the upper left hand corner, type in the topic you want (such as “family time” or “devotions”) and hit the little magnifying glass symbol to get all the posts that deal with that topic. This summer I will be traveling with Jim and Christina for June and part of July visiting the Emmaus Course offices in Eastern Europe. Because of this, I plan to only add one new post per week on Wednesdays during the summer. I know you are busy at this time of year, too, so I though none of us should get bogged down on the Internet when our families and the outdoors beckon us! If you would like me to continue posting more often again starting in September, please encourage me by letting me know. And be sure to come back every week so you can be inspired to connect with your family at mealtimes. Just wanted to let you know that I mentioned your site on my blog this morning. :o) I love to "talk" about hospitality and home-making, so it was a perfect fit! Have a happy weekend. Thank you, Corrie! So you stalked my kids? 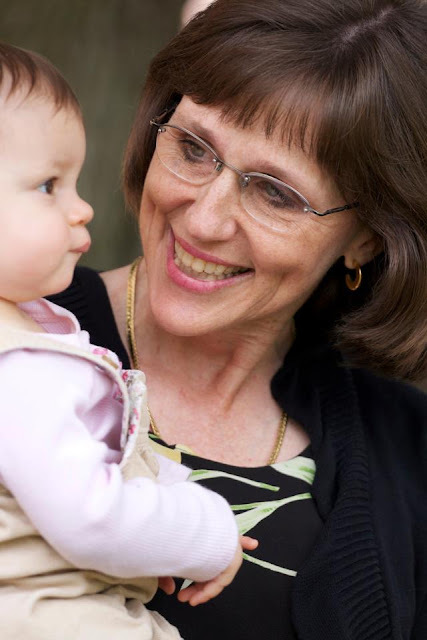 :-) Now you can stalk my grandchildren on my blog! We have a second one on the way, Lord willing, in November. I appreciate your help and have already had 3 people look at my blog from yours! Thanks.